– More details coming soon! March 29, 2018 @ 10:00 PM. Cecil Con’s First 24 Hour Game Jam! What is the Cecil Con Game Jam? A game jam is a competition in the art of game design. Teams are tasked to create a game in 24 hours. In a competition like this, the participants are skilled in programming, designing, writing, 2D/3D artistry, music, and other jobs. The teams create alpha/prototype games within the given time span. Teams have 24 hours to conceive, develop and produce a final product.. The game jam is a high-octane competition enhancing creativity and imagination.. Competitions like this bring together skilled artists and developers to create some of the most fun and quick-witted games. The Game Jam is an exciting addition to Cecil Con 2019. Competition starts on April 12, 2019 at 2:00 PM. Competition ends on April 13, 2019 at 2:00 PM. – To enter, you must fill out the Game Jam Registration Form on this page. – Only one person (team captain) needs to fill out the form. Captains will give the names of teammates on the form. 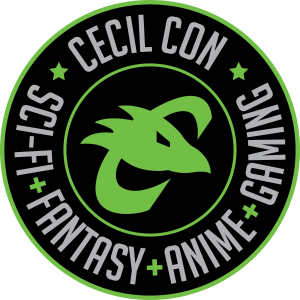 The team captain will be the main point of contact for information from Cecil Con Staff. – Registration will close for the competition on March 29 at 10:00 PM or when 10 teams are registered. – Teams must arrive to the 2nd Floor of the Tech Center by 2:00 PM on April 12, 2019 to receive their instructions. – The instructions will contain a number of expectations for teams to follow. -All participants must be the age of 18 or older. -At all times, one team mate must stay within the Game Jam room. Failure to do so could lead to an automatic disqualification. – College doors will lock at 10:00 pm. Participants leaving the Game Jam after 10pm, April 12th, will not be permitted into the development area until 7am, April 13th. – Teams must bring their own equipment. This could include laptops, desktops, monitors, surge protectors, and extension cables. – Work stations are provided for teams, including electricity and wifi. – Snacks, coffee, and pizza will be provided by Cecil Con overnight, and breakfast will be provided in the morning. We encourage teams to bring additional supplies as needed. – On April 13, 2019 at 2:00 PM, ALL TEAMS MUST STOP DEVELOPING. This will be the end of your development phase, meaning your team can’t work anymore on the project. – Post-development, all games are available for public play. Attendees can vote for their “Fan Favorite Award”. Additionally, three judges will evaluate the games according to the official Game Jam rubric. For our purposes, the individual submitting the application will be the team captain who will serve as the main contact person leading up to Cecil Con 2019 Game Jam. Additional information in regards to the convention can be found here on the convention website. Thank you! Cecil Con Game Jam team tables are FREE for this first year, and include one standard 6' table, 3-5 chairs, and 3-5 convention passes (depending on number of teammates). Equipment such as computers, laptops, surge protectors, extensions cables, and other additional equipment won't be provided, so please bring your own items. All applications will be reviewed within 48 hours. The event space has free wi-fi. The team tables are for equipment only. Snack and drinks and breakfast on Saturday morning are provided by Cecil Con. All drinks MUST be in closed containers. Please list the number of years you and each of your teammates has with game development. Are you seeking additional team mates to join your team? If Yes, what type of team mate(s) are you seeking? Multiple selections allowed. How did you hear about the Game Jam? Wi-fi and outlet access is provided for free. No extra charge. Please bring your own extension cords/power strips.